Mark grew up in post-WWII Miami, Florida. 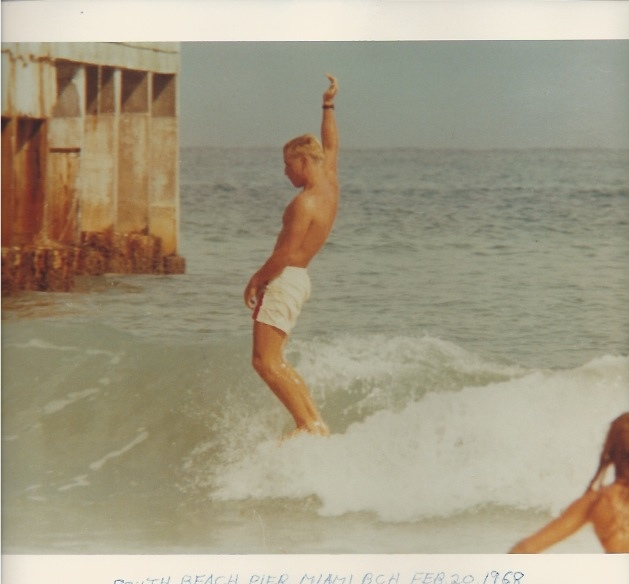 Sometime in 1964- probably on one of those roasting South Beach summer days- at 12 years old, Mark rode his first waves by the fishing pier. 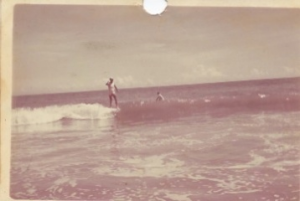 This patch of ocean in South Beach was known to the locals as the “surf area.” Soon, his brother Rod purchased their novice surfboards from a local dive shop, owned by Bruce Freedman. 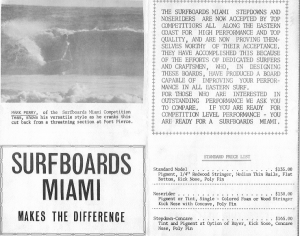 Surfboards Miami Price Brochure featuring Mark Perry at Ft. Pierce. 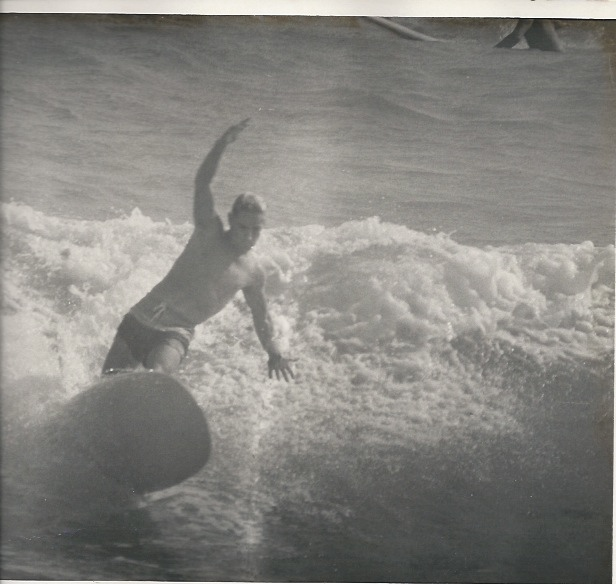 The owner of the shop was a professional skin diver, as was his dive business, but his side selection of surfboards imported from California became quite popular. 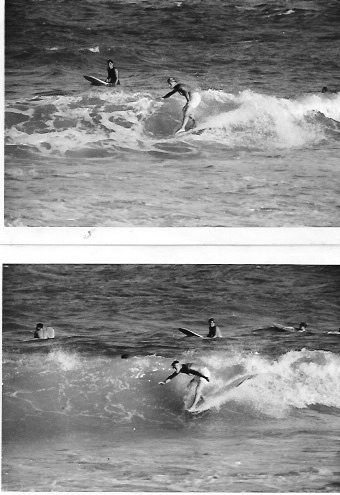 As the business expanded with the sales of the surfboards, he closed his original shop, opened a much larger one close by, and called it: “Adventures Dive and Surfing.” As the business grew, he hired more skilled surfboard craftsmen, and started “Surfboards Miami.” Not only was this little shop the home of Mark Perry’s first surfboard, it became his sponsor as he excelled in surfing in Miami surfing scene. 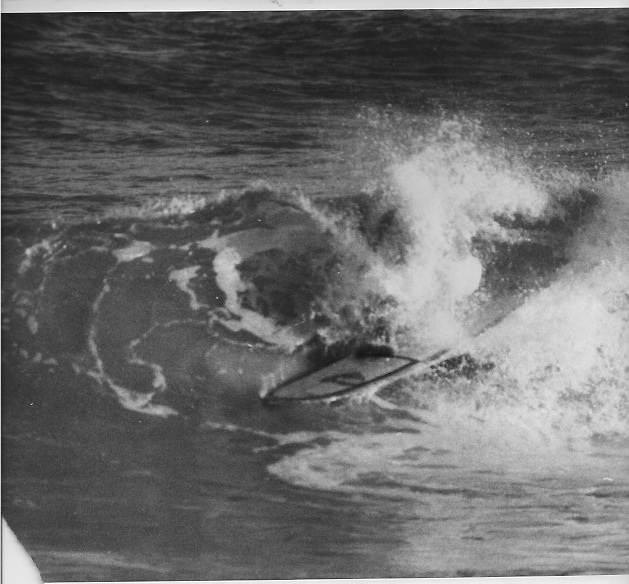 Hobie Surfboards also sponsored him in the late 1960’s to promote their surf brand. 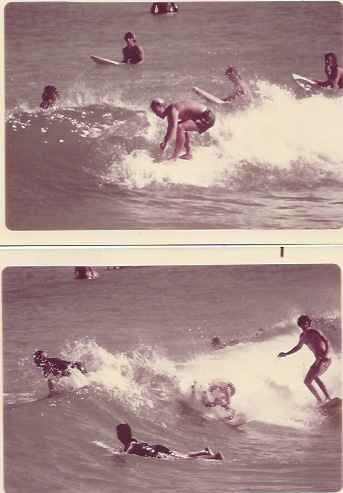 Mark Perry, April 1967, South Beach, Miami. 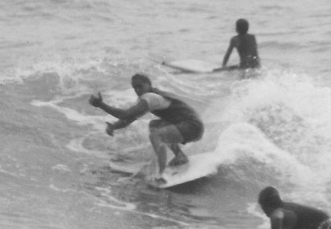 “Slipcheck” on nose of the board. 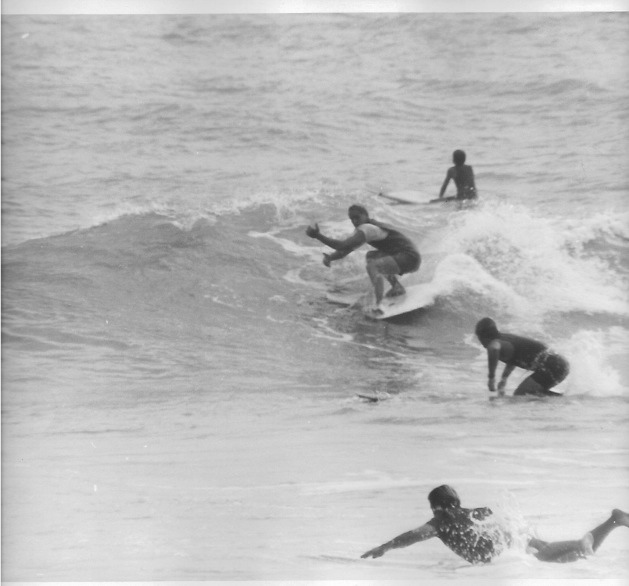 Mark Perry, November 1970, South Beach, Miami. 5’6″ Hobie Twin Fin. 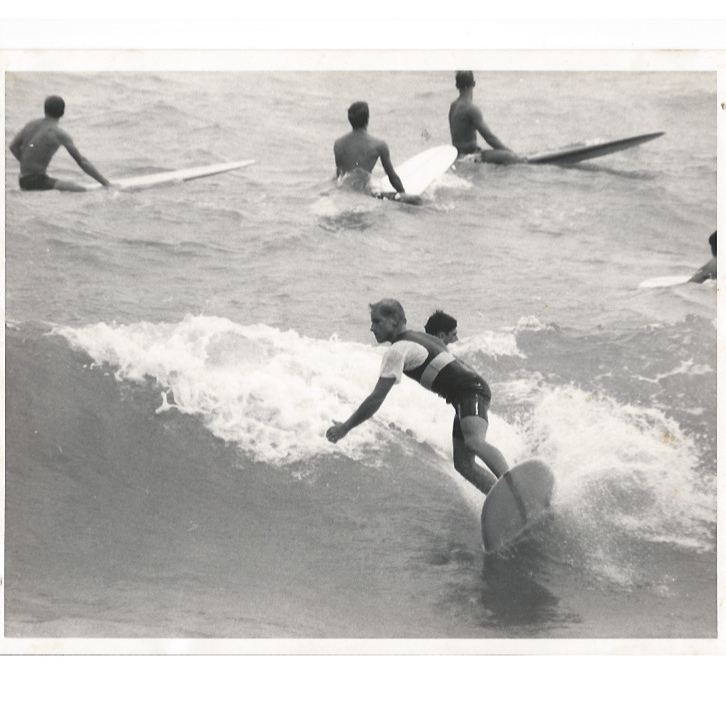 In 1968, the length of boards began to drop- going from 9’6″in length down to 8’0″. 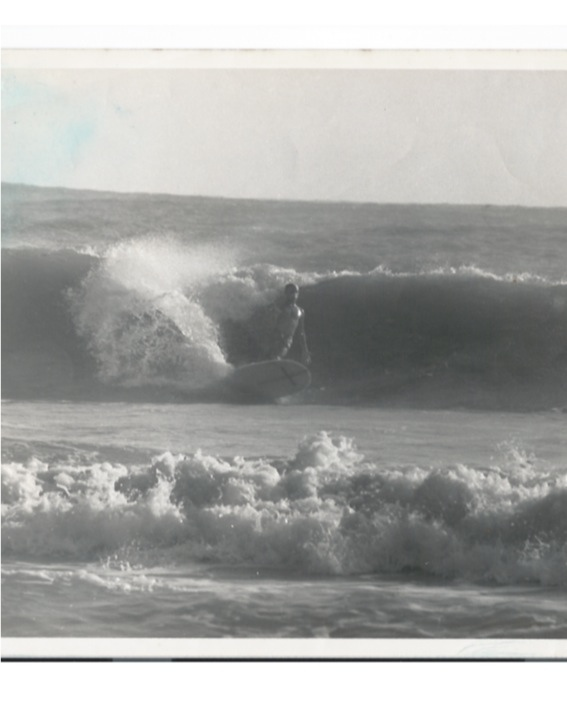 In a few years, my Hobie surfboards went from 8’8″ long down to 7’0″! 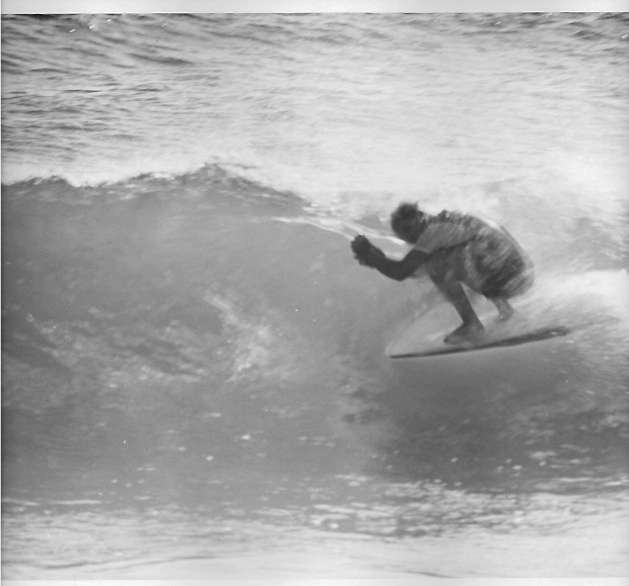 My CON Aussies were in the 7’0″ range, then I started riding local shapes between 6′ and 7′ in length, namely ones by Bruce Walker and Lewis Graves, when they had their shop in South Beach. 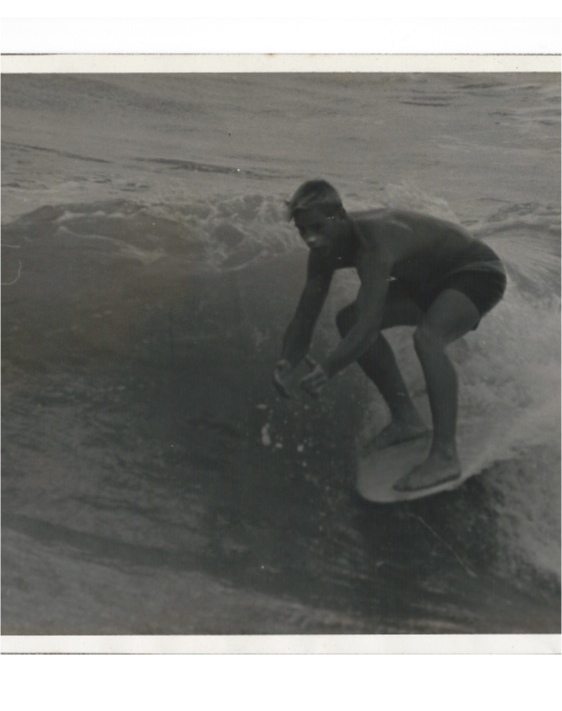 From around 1965 to 1970, my short list of better South Beach surfers would include: Larry Salem, Roddy Perry, Roger Kinkaid, Lewis Graves, Ed DeStefano, Doug Deal, Roger Norris, Eric Penny, Ralph Lema. There are certainly more, but I forget. Following high school, Mark went on to serve in the U.S. Coast Guard aboard the USCG Cutter, White Sumac. He married his wife Barbara in 1973, then soon began work as a lifeguard for the City of Miami Beach. After 26 years with the City, Mark retired as a Lifeguard Lieutenant. 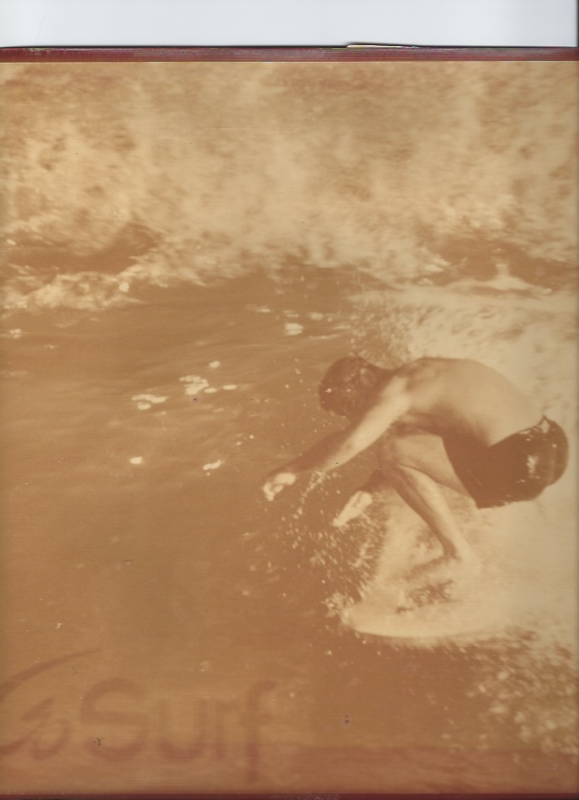 He has happily enjoyed his career near the ocean, keeping him close to his love of the ocean and surfing. Today, Mark and his wife call Tradition, Port. St. Lucie, Florida their home and the North Jetty of the Ft. Pierce Inlet is Mark’s home break now. 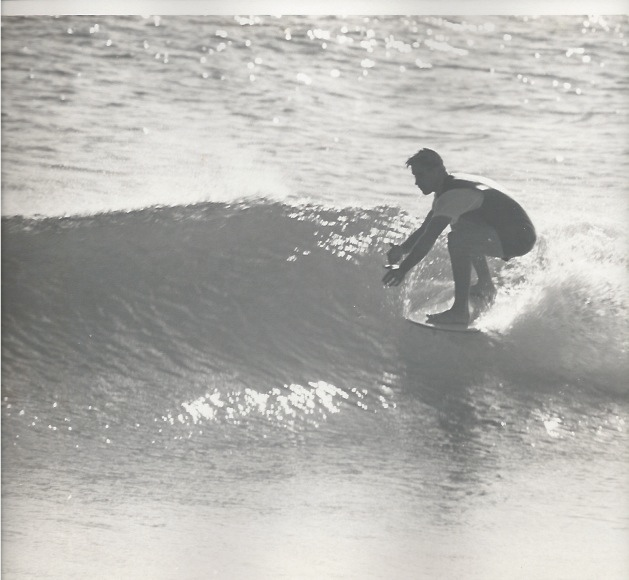 Mark Perry, December 1967, South Beach, Miami. 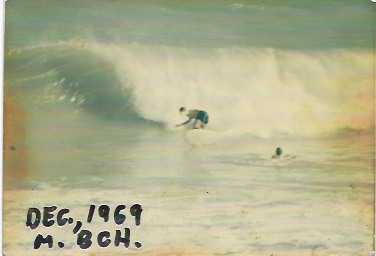 Mark Perry, February 1971, Melbourne Beach. 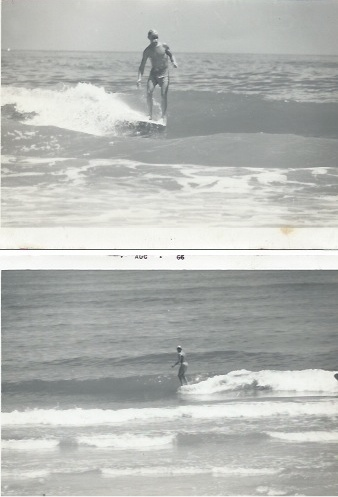 Riding a 6’0″ board. Mark Perry, Christmas Day, 1966, South Beach, Miami. 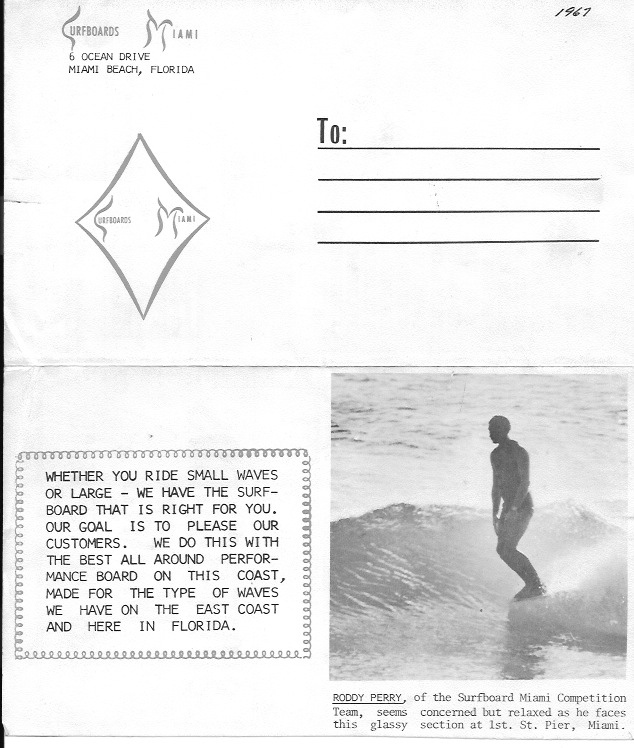 Surfboards Miami brochure featuring Roddy Perry, 1967. 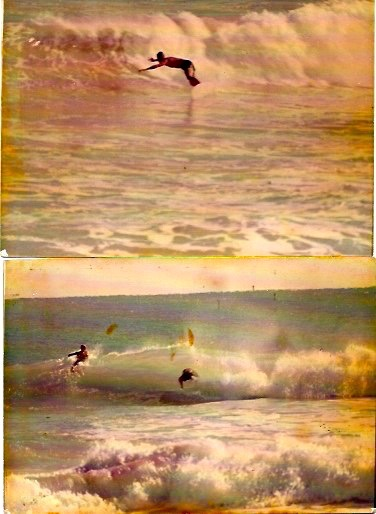 Mark Perry, December 1969, South Beach, Miami. 7’2″ board. Photo by Bruce Walker. 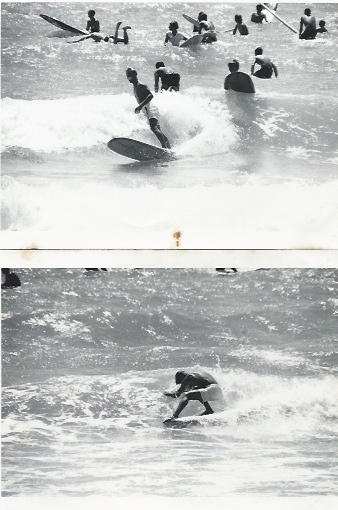 Mark Perry, February 1968, South Beach, Miami. 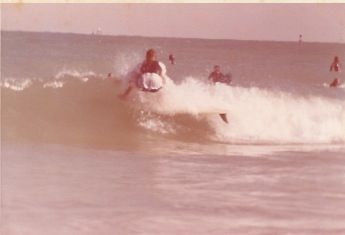 Mark Perry, February 1974, South Beach, Miami. Riding a 6’8″ FOX Swallowtail. 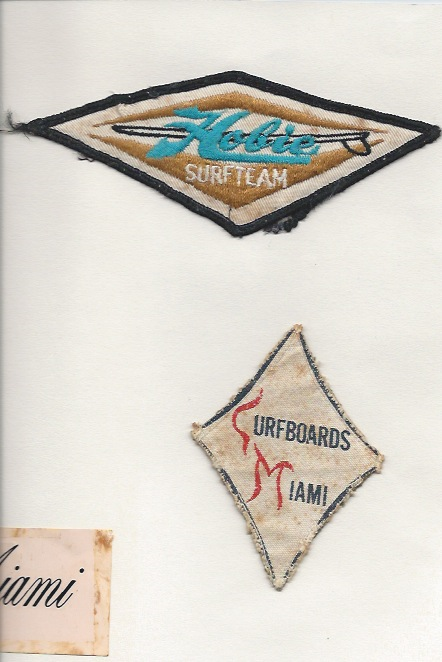 Mark Perry’s Team Patches from surf baggies, mid 1960’s to early 1970’s. Mark Perry, August 1967, South Beach, Miami. 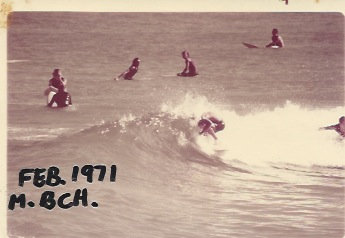 Mark Perry, January 1973, South Beach, Miami. Riding a 6’10” FOX while doing a 360 maneuver. 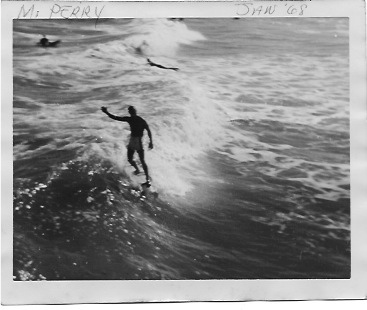 Mark Perry, Christmas Day, 1966, South Beach Miami. 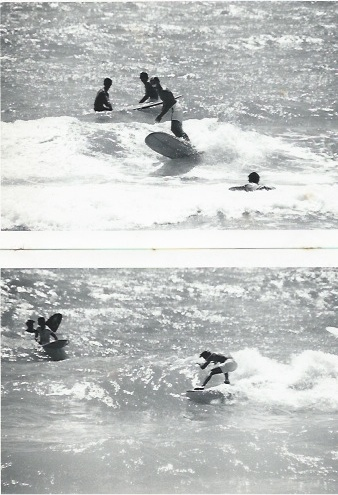 Mark Perry, December 1969, South Beach, Miami. 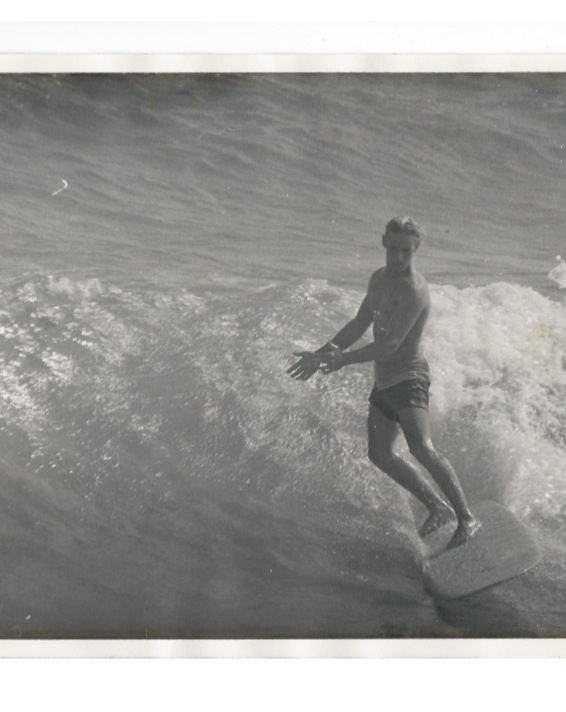 7’2″ board. 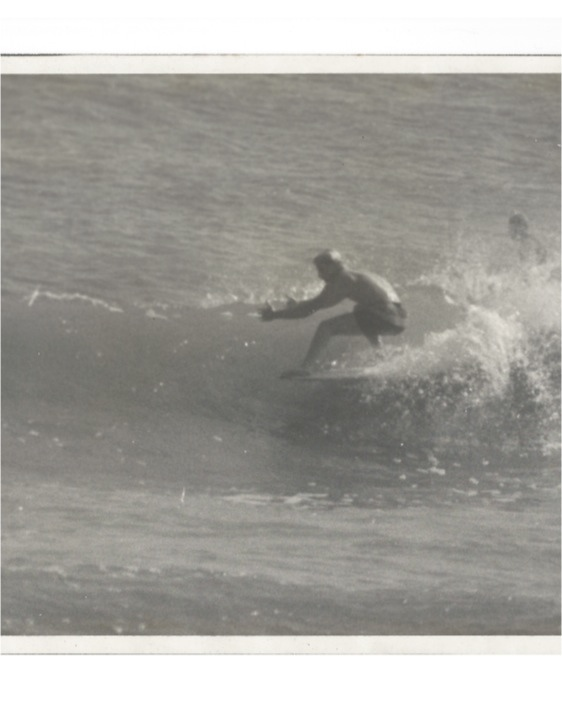 Mark Perry, February 1968, South Beach, Miami. Old South Beach Pier in background. 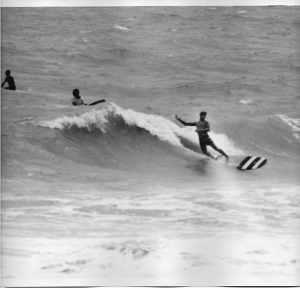 Mark Perry, December 1966, South Beach, Miami, third shot. 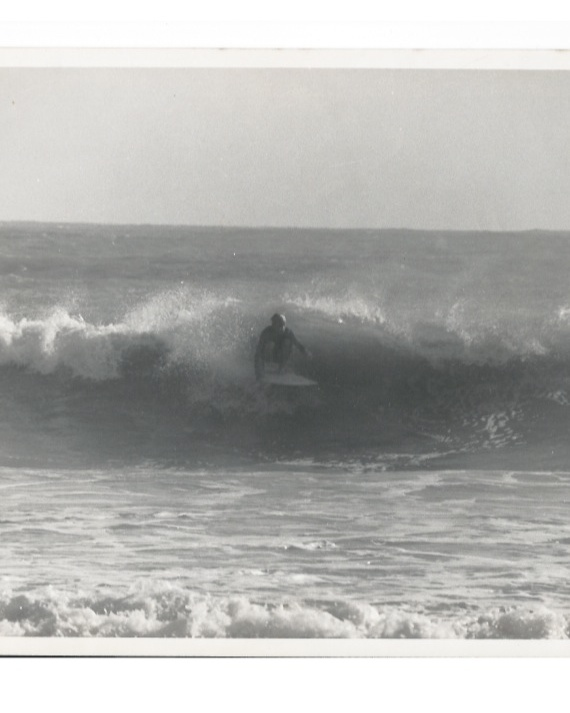 Mark Perry, January 1969, South Beach, Miami. Riding a 7’0″ Hobie tri-plane pintail. 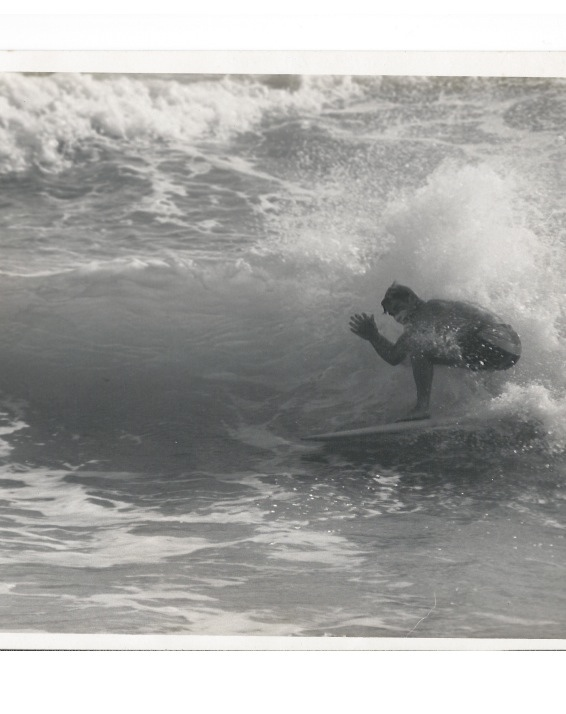 Mark Perry, December 1966, South Beach, Miami, second shot. Mark Perry, August 1967, Crowded South Beach, Miami. 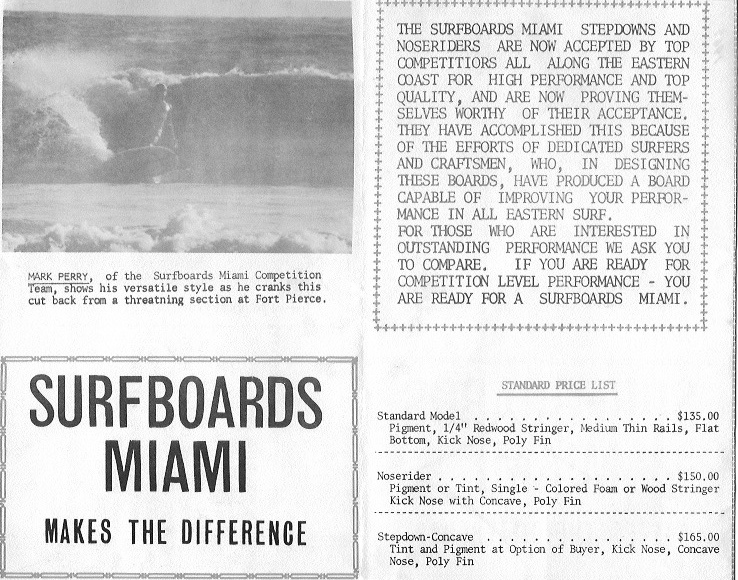 9’6″ Surfboards Miami Stepdeck. 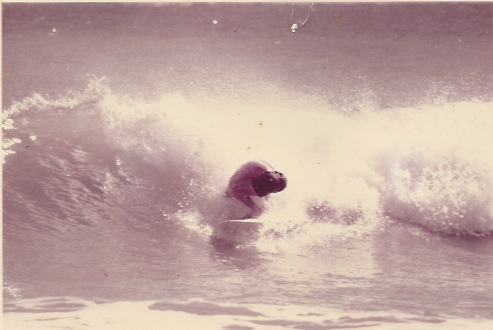 Mark Perry, February 1967, South Beach, Miami. 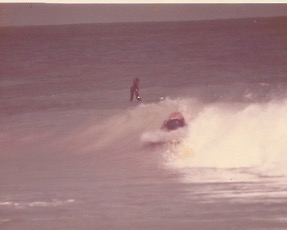 Pulled through back of wave, missing the guy paddling out. 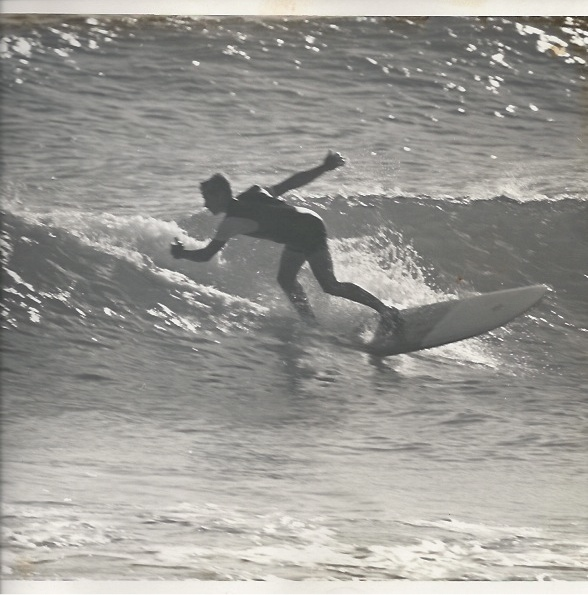 Mark Perry, November 1966, South Beach, Miami. 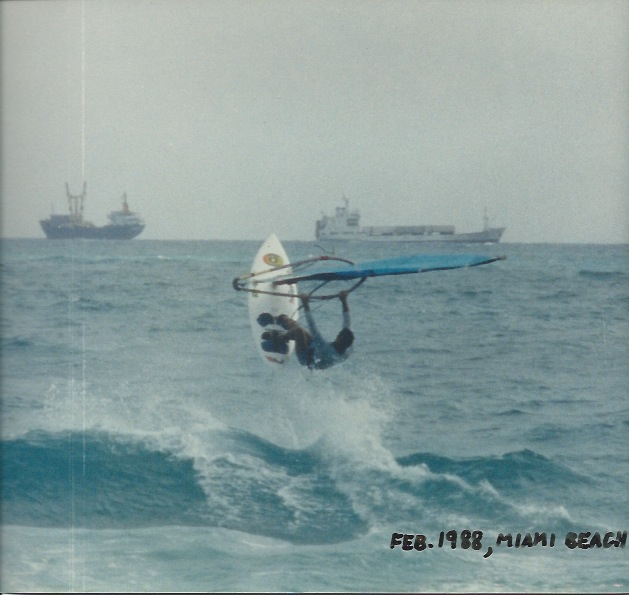 Mark Perry, February 1988, Windsurfing South Beach, Miami. 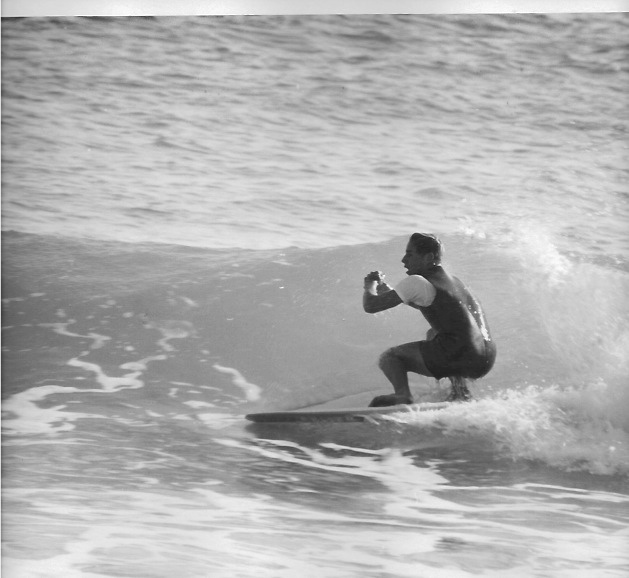 Mark Perry, January 1968, South Beach, Miami. Shot from the old South Beach Pier. 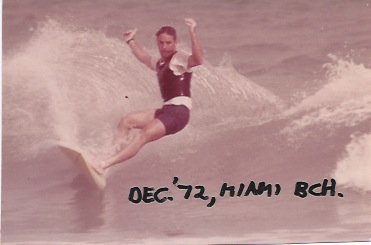 Mark Perry, December 1972, South Beach, Miami. 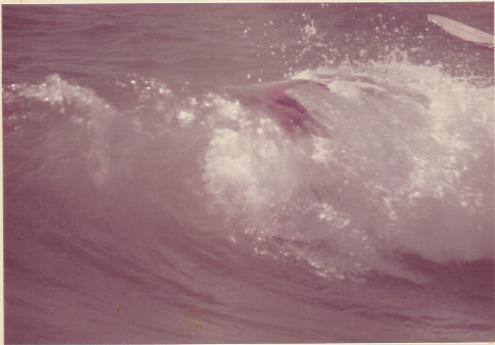 Mark Perry, February, 1971, South Beach, Miami. Board is 6’0″. 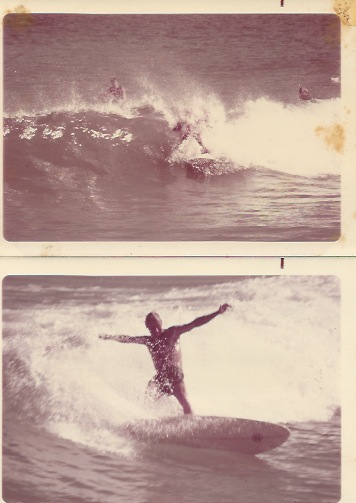 Mark Perry, December 1969, Melbourne Beach. 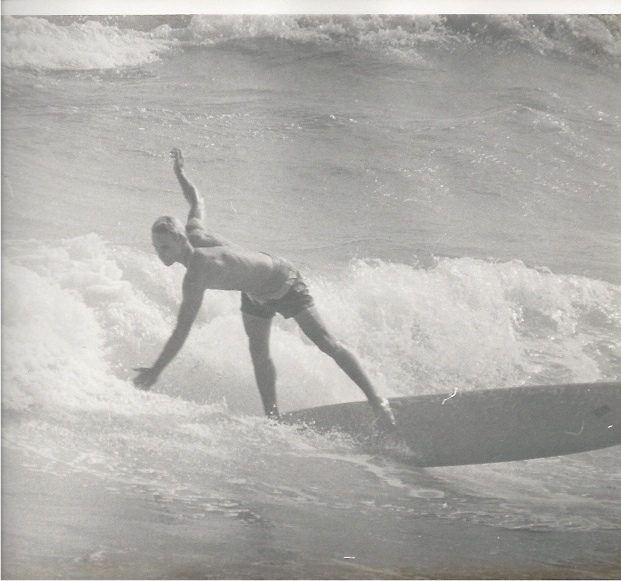 Mark Perry, November 1966, Thanksgiving Day, South Beach, Miami. 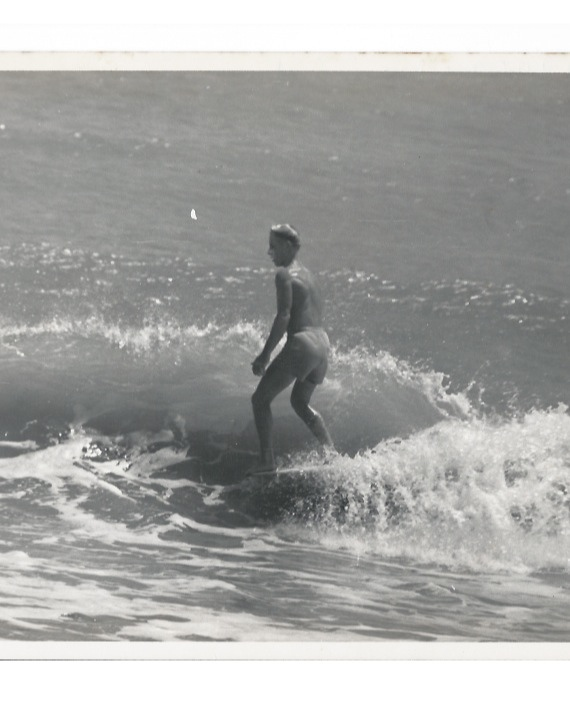 Mark Perry, December 1966, South Beach Miami. 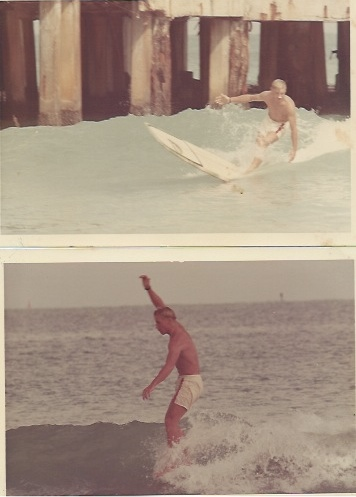 Mark Perry, March 1966, South Beach, Miami. 9’6″ Surfboards Miami, slot bottom. 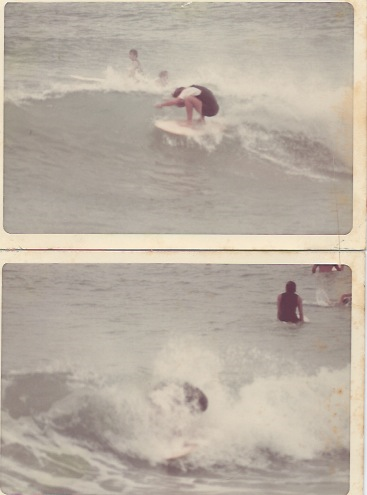 Mark Perry, June 1970, Miami Beach. Board is 6’7″. 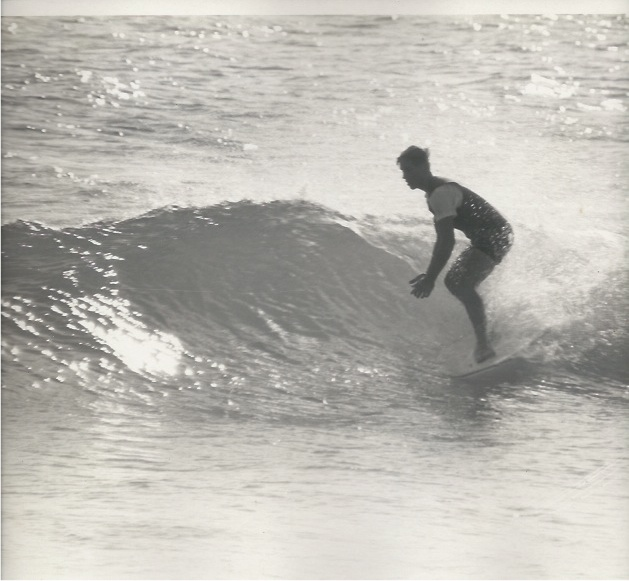 Mark Perry, January 1967, South Beach, Miami. 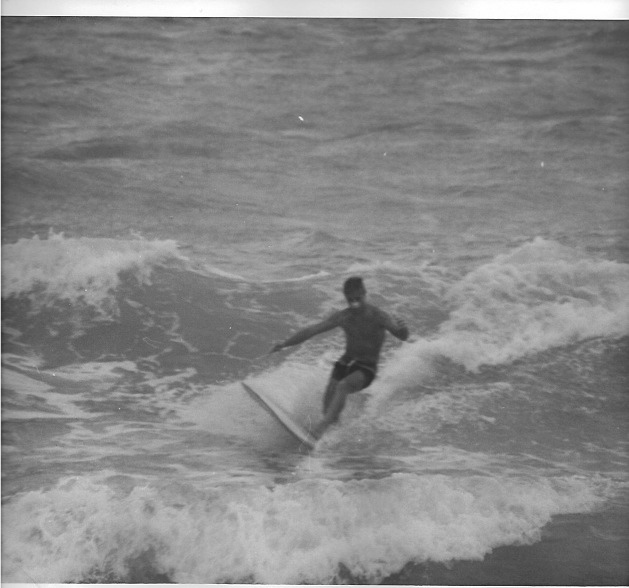 Mark Perry, October 1966, 3rd Street, Cocoa Beach. 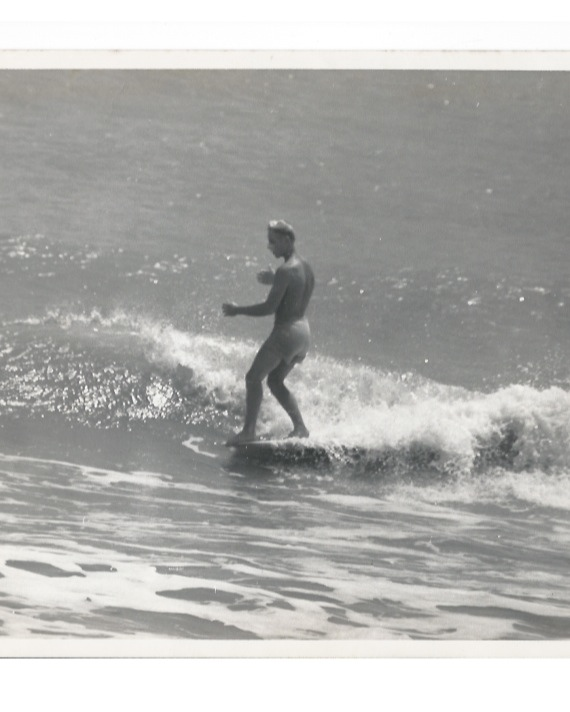 Mark Perry, February, 1971, Miami Beach. Board is 6’0″.